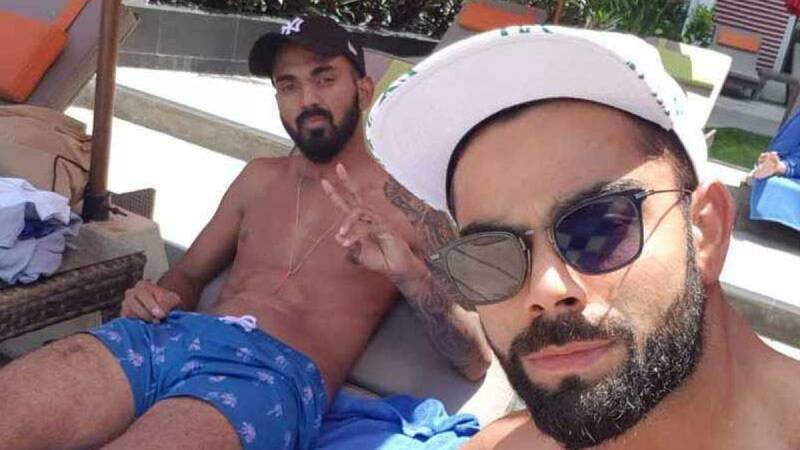 New Delhi : KL Rahul did not play the first Test due to viral fever, but now what is going viral is his latest picture with Virat Kohli, credit Yuvraj Singh for trolling him. KL Rahul posted a picture with skipper Virat Kohli and captioned it as "When skipper says #selfie you pout and ✌. #chillday by the beach 🏊‍♂️🤽‍♂️ #galle imVkohli." On the picture, Yuvraj Singh made a hillarious comment and wrote "Basically what you saying when skipper say selfie u have no choice but to pose 🤣🤣🤣 agreed have to do what captain says 🤔😏" KL Rahul didn't really have much to say and he simply replied, "Hahah yes paaji absolutely . Actually anybody says selfie I'm ready with ✌"
Team India had beaten Sri Lanka with a brilliant 304 runs and finished the game a day before the schedule fifth day.